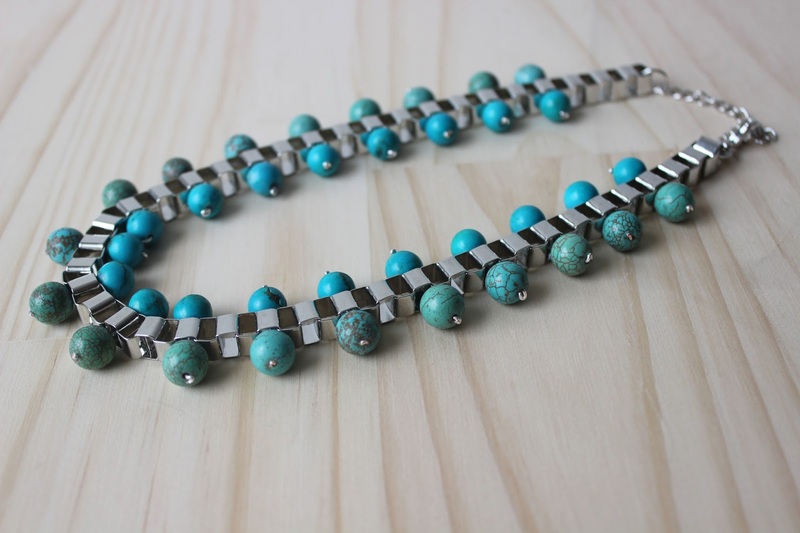 Silver and turquoise has to be one of my favorite color combinations. 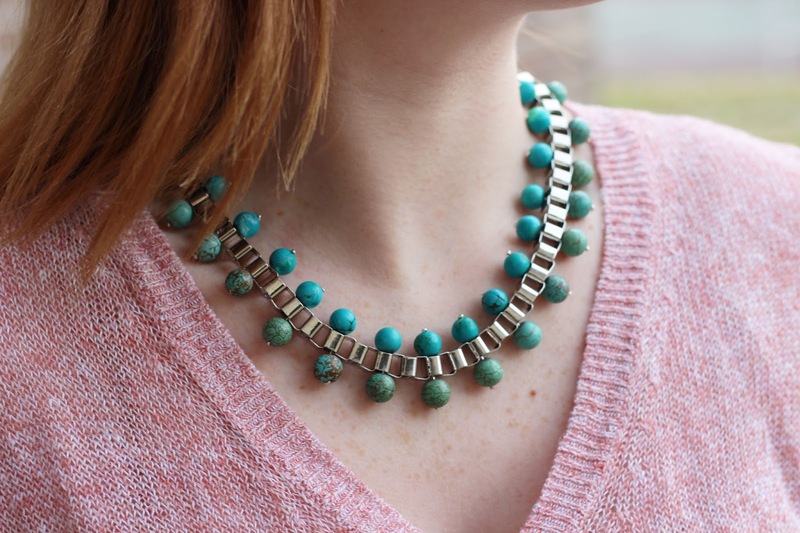 I tend to gravitate towards these colors when picking jewelry, so naturally when I have silver box chain I use turquoise beads! I picked up some box chain while out and about a while back and just got around to making something with it. I really love the look of this necklace, it’s definitely different in comparison to my other projects. Grab your supplies and make this beauty! 1. 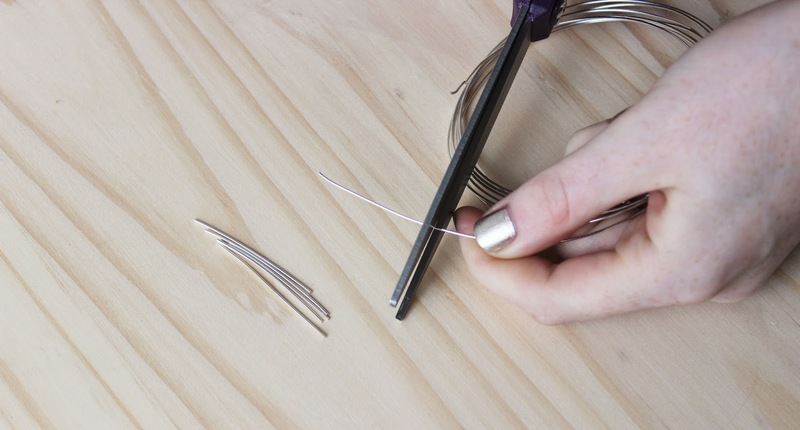 Cut the jewelry wire into pieces long enough to hold both beads and go through the box chain. 2. Thread one of the beads onto the wire and curl the end to hold the bead on. 3. Put the wire though the box chain, thread the second bead and cut the excess wire off. Curl the other end of the wire to finish the other end. 4. Continue down the box chain until you’re done. I went every other opening with the beads so it would fall well when worn. 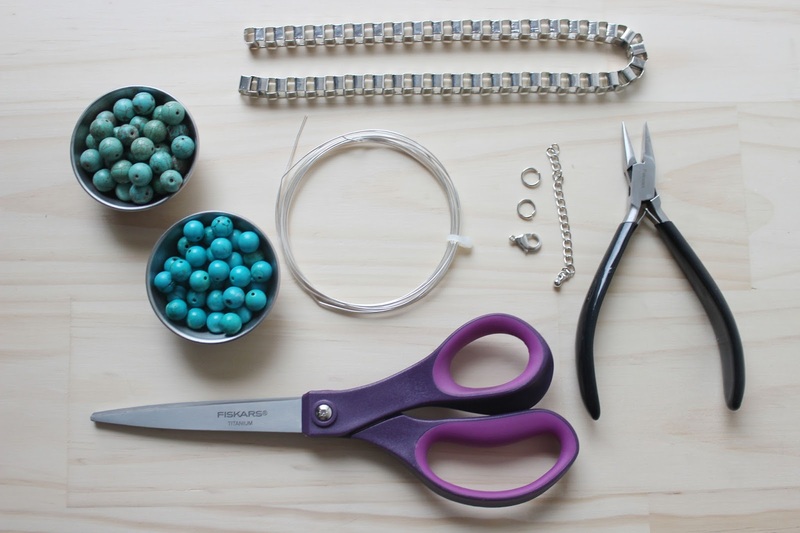 Attach lobster clasp and chain to finish off the necklace. If you liked this DIY check out my DIY Archive for more creative projects!